The Dreaming City unique Public Event is called “The Rift Generator” — and it can be pretty difficult, even if you’ve reached the softcap in Destiny 2: Forsaken. 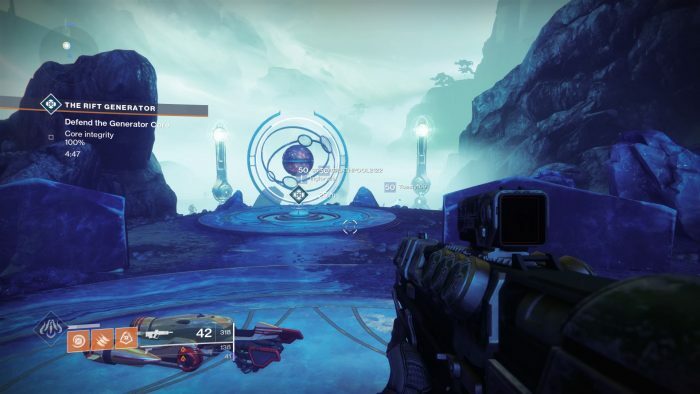 The post-game area is full of mysteries, and here’s one solution we absolutely know; how to make this standard Public Event into a Heroic Public Event. Currently, Heroic Public Events don’t really give you many more rewards, but there’s still a thrill in finding those secret, hidden objectives. The Rift Generator pits you against the Scorned as you protect a Generator Core from large waves of enemies. To unlock the Heroic version, you need to keep the Generator’s integrity high. We’ll explain everything in the full guide below. The public event will often spawn in The Strand, in the Dreaming City. The public event is called “The Rift Generator” and becomes the “Rift Ascendant” after upgrading the difficulty by completing a secret objective. There are two types of Public Event, and the “Heroic” version is far more difficult. Here’s all the steps you need to know. Many, many enemies will spawn. Recommended PL is 530+. Defend the Generator Core until the timer is up. Keep the Generator Core from taking damage, and it will slowly restore itself. Keep the Core Integrity High. Blights will spawn in the water on the beach. Destroy three Blights. The Blights will only spawn if the Core Integrity stays high. The Blights are large black orbs. You can’t miss them! You will teleport to the Ascendant Realm. Disrupt the restoration ritual. Defeat all the enemies inside and defeat the boss.